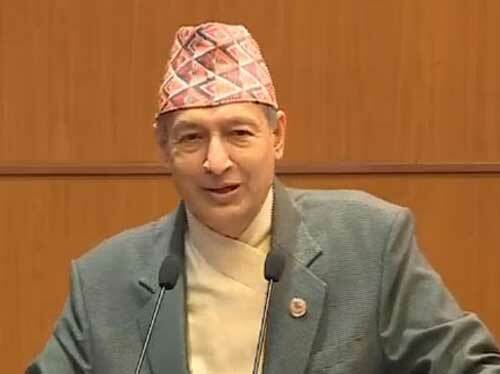 Biratnagar – Minister for Finance Dr Yubaraj Khatiwada has said that there was no liquidity crunch in the country. Talking to media persons at Biratnagar Airport today, Finance Minister Khatiwada clarified that a crisis of liquidity seemed to be appeared due to financial transition facing the country. He further said that arrangements would be to avoid possibility financial liquidity in the market, stressing the provinces and local levels should develop their capacity to spent budget in overall economic development of the country. Saying that there was no tax issue at present at local levels, the Finance Minister clarified that the problem of tax was surfaced in the initial phase due to misunderstanding as the practice of federalism was a totally new concept in the country. He went on to say that that adjustment of civil service employees would take place within a couple of months after the formulation of Federal Civil Service Law. An imbalance between demand and supply is the main reason behind decreasing values of share, adding that the country's GDP has increased.